*The authors that are willing for their article to be reviewed in the Scopus indexed journal, please provide title of the article and abstract in bilingual languange (English and Bahasa Melayu). Please send two seperate files, one file with full paper in English or Bahasa Melayu. The second file, abstract and title of the article ONLY in English AND Bahasa Melayu to icomm4@kuis.edu.my. 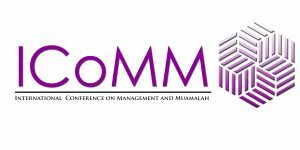 Please download the ICoMM 2017 Sample Full Paper Format.